I know today is a day reserved for sugar and scary things but I came across these amazing images of the sun today by a very talented photographer named Alan Friedman. Because he titled this print “Not the Great Pumpkin” I think it’s just fine to blog about on Halloween. 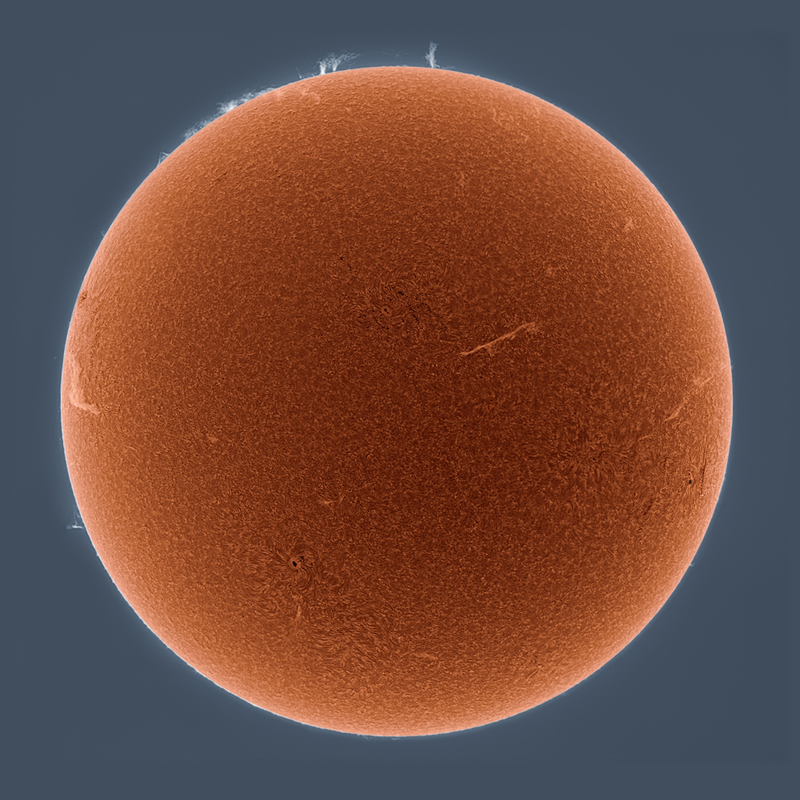 What impresses me the most is that while we are accustomed to seeing such detailed images of objects outside our atmosphere from high powered arrays and telescopes like Hubble, this image was taken through the haze of our atmosphere by a smart and talented man in New York State on comparably tiny telescope. Discover Magazine describes how it was done here. A very dear friend of mine turned forty-six yesterday and was a bit dismayed at finding himself no longer equidistant to forty and fifty but decidedly closer to fifty. I considered making the old joke list of things older than he: fire, the wheel and dirt. However, it might have ruined the warm chocolate cake and mocha marscarpone parfait we were enjoying. 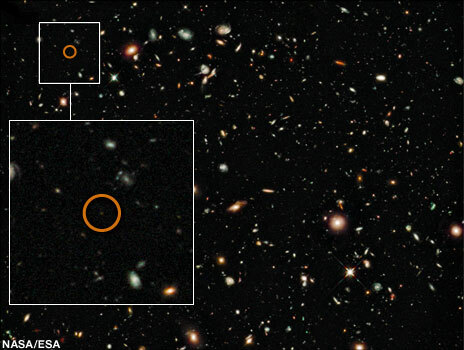 Luckily, yesterday news also broke about the oldest galaxy in the known universe which is dated to 600 million years after the big bang and seen so far back in time that it’s light took 13 billion light years to reach us. So, here is something much older than fire, the wheel, dirt AND my friend. It’s called UDFy-38135539. The UDF is for Hubble’s “Ultra Deep Field.” And they expect that discoveries of even older galaxies will occur so no matter how old my friend gets, he will always be relatively young. 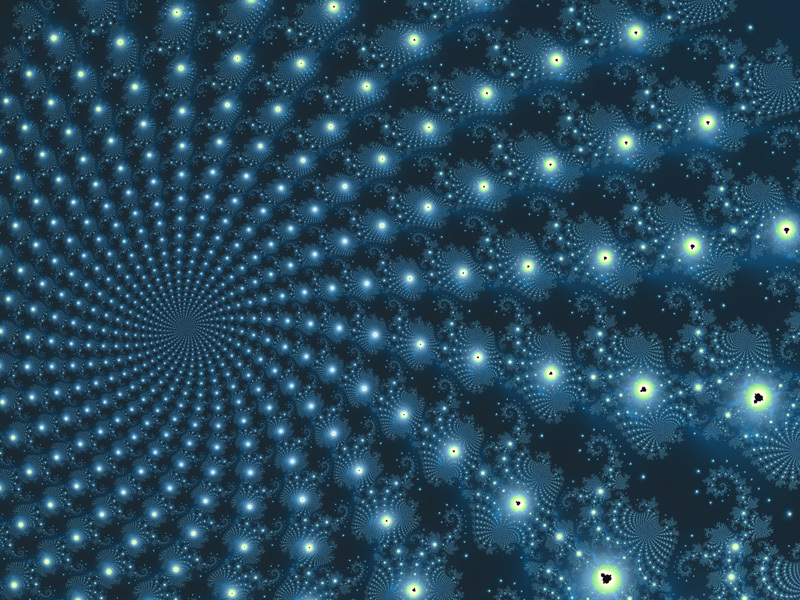 The novel on which I am currently working has elements that are inspired by fractal geometry and the work of Benoit Mandelbroit so I was sorry to hear that he passed away last week. I will not be able to eventually meet him now. While most people do not know the Mandelbrot name, they do know the image of the famous Mandelbrot set. It sounds as if he understood that his life was as poetic as his math.